'Grease The Arena Experience'. Photo by Glenn Pokorny. 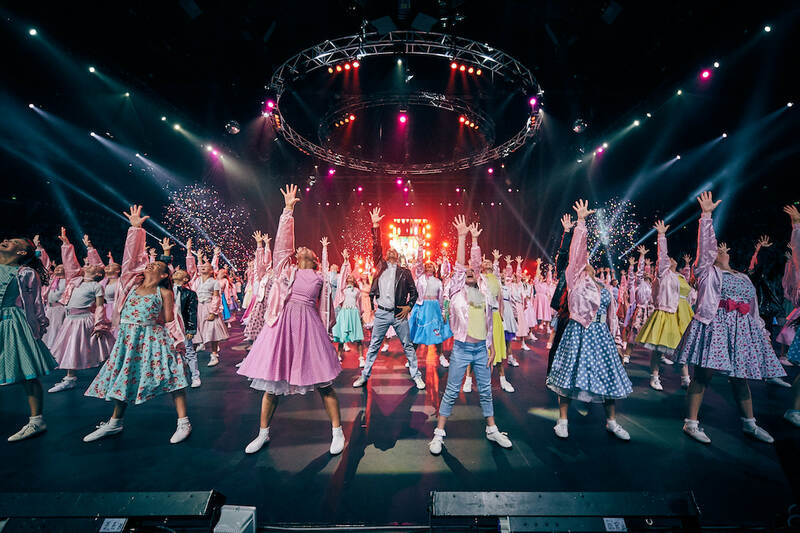 In the 40th anniversary year of Grease hitting the movie screens, the production Grease The Arena Experience has been touring Australia to sell-out arena crowds. 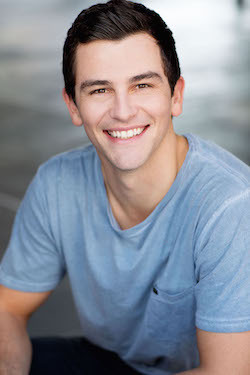 For the triumphant Brisbane return season, the new Danny Zuko will be played by Thomas Lacey, star of Strictly Ballroom and the ABC hit TV show Dance Academy. He’ll pull on the tight black strides and white T-shirt and strut the stage beside Ashleigh Taylor, playing everyone’s favourite high school sweetheart, Sandy. This will be Taylor’s professional lead role debut. Joining them on stage will be an iconic indigenous performer, Christine Anu, as Teen Angel. The Footy Show’s loveable larrikin Beau Ryan will play DJ Vince Fontaine. In total, more than 700 performers will be part of this arena production. Lacey played the lead role of Scott Hastings in Baz Luhrmann’s Strictly Ballroom, which showcased him as an extraordinary triple threat talent. He toured as featured vocalist with Hugh Jackman in Broadway to Oz and travelled to the Edinburgh Fringe Festival to perform with The Tap Pack. 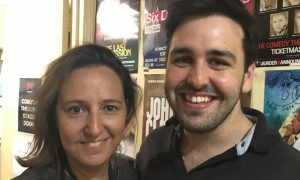 He hit cinemas in 2017’s Dance Academy: The Movie after amassing a large fan base from his role as Ben Tickle in ABC’s enormously successful Dance Academy series. Taylor recently returned from New Zealand after starring as Lillith in the world premiere of Pleasuredome The Musical, directed by Michael Hurst. She featured in the cast of Green Day’s American Idiot for its Australian premiere and subsequent tour in the role of Heather. Taylor played Ellen in Packemin Productions’ Miss Saigon and was “thrillified” to take on the principal role of Elphaba in Packemin’s Wicked, earning her a Glug Award nomination for “Most Outstanding Performance by a Newcomer”. 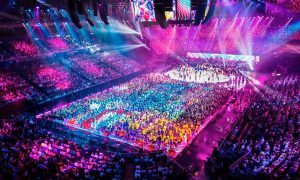 Grease The Arena Experience kicked off in Brisbane in April 2017 and since then, has played to capacity houses in arenas around the country – Newcastle, Adelaide, Sydney and Melbourne. 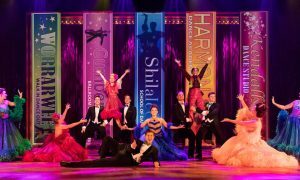 The production has now been seen by over 60,000 people nationwide and the tour returns to Brisbane for a triumphant encore, before rolling on to Canberra and Perth. The ultimate party musical features all the favourite hits, including “You’re the One That I Want”, “Greased Lightnin'”, “Grease is the Word”, “Summer Nights”, “Beauty School Drop Out” and “Born to Hand Jive”. Grease is the timelessly funny story of 1950s teen love, cliques and peer pressure. Join your favourite Rydell High students, Danny & Sandy, The T-Birds and the Pink Ladies along with a cast of hilarious characters as they jive and bop their way to graduation. Directed and choreographed by Callum Mansfield, Grease The Arena Experience plays at Brisbane Entertainment Centre for two shows only on July 14. Visit www.greasearenashow.com for more information or tickets.